Facebook recently launched a application which name is Facebook lasso. The application is not officially launched in India but in other country it is available on playstore. 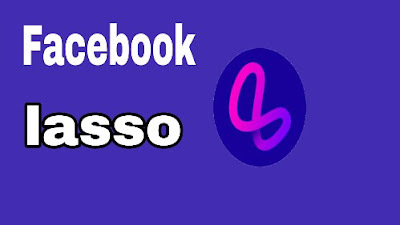 So hello guys,nothing to worry about beacause today I will tell you how to download and use facebook lasso app in India. To know about deteils read the complete article till end. The facebook lasso application is similler with Tiktok, like ,vigo etc . The working function is also same with those application. By using facebook lasso app you can upload your funny video or you can share videos with your friends just like you use tiktok or like app. If you are using titok app and not getting popular on tiktok or other app then you can simply install this app and get popular beacause its a latest app and may be nobody do not know about it. But the fact is that this application is created by facebook and in less time it will also get famouse. Facebook lasso is not available on playstore in India, if you want to use this application you have to download from google browser. So what have to do? Just go to any browser and search at google as Facebook lasso.apk . You will able to get download the app. After found the application simply install it and open the facebook lasso app. After open the application you have to sign up for facebook lasso by using instagram or facebook id. After sign up the you will see same interface as you saw in tiktok or like app. You can like the video by double tap on the video and can comment or share with your friend. For upload your video on lasso app just find the lasso blue icon down to the app and click it and then the carema will be open on your phone. For video shoot just press the big button and your video shoot will be start . So guys thats all about today what I wanted to share with you. If you want to use this app simply download the app and use it . And dont forget to tell us your experience after use the facebook lasso app. For more information and latest updates please follow aur site on facebook twitter instagram or google+ . Thank you for be here. !